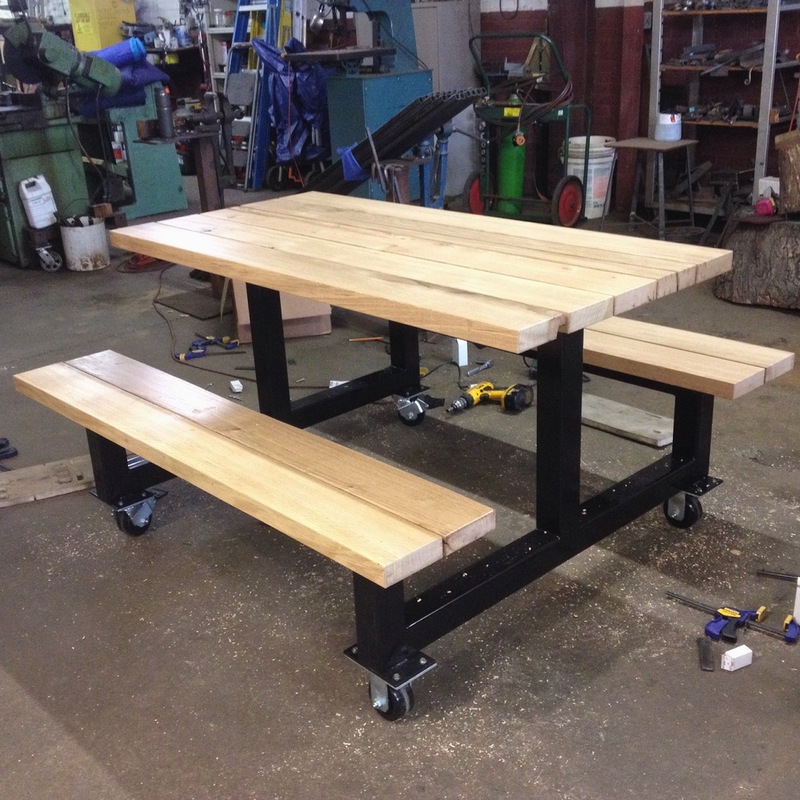 Last fall we were approached by the fine folk at Stone Brewing Co. - Richmond about creating some custom furniture for the tasting room at their new brewery here in town. Now that construction is just about complete, they've begun testing out the tasting room with a series of soft openings. Take a peek into the process behind the tables you'll find there and more! Working on picnic and cafe tables. Tables ready for delivery! 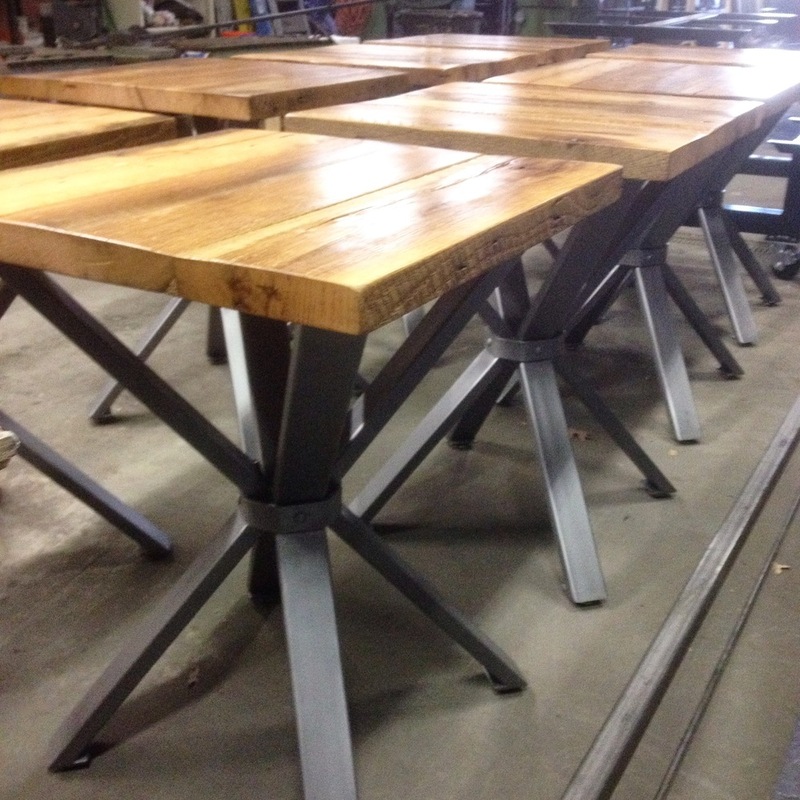 Reclaimed wood tops created by Van Jester Woodworks. And now for our favorite part! The two top photos here show Kyle's assistant, Kallen, forging strap hinges for the tour door at the brewery. In the bottom photos, Kyle is forging gargoyle horn handles designed after Stone Brewery's logo for the door. There it is! Our hand-forged hardware installed on the tour door made by Van Jester Woodwoorks. Hope you get a chance to stop by Stone for a brew. And if you do, let us know what you think of the tables and tour door!